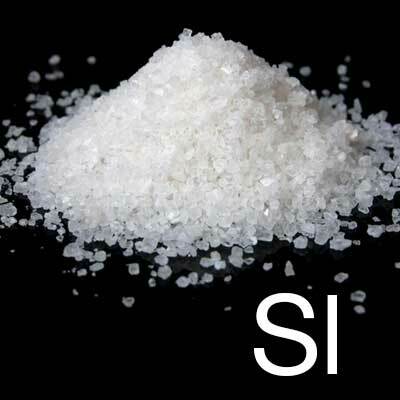 Sodium Levulinate is a salt of levulinic acid, an organic acid found widely in numerous plants, the levulinic acid we use is made from Sugar Cane. An intrinsic property of such organic acids, the acidity itself is very low. This makes organic acids ideal candidates for the gentle acidifying effect on human skin. Thus the natural acidic level of the skin can be maintained for a longer time. The correlation between physiological pH and healthy skin has been shown in many studies and there has been evidence that micro organisms like Propionibacterium acne and Staphylococcus aureus and even viruses are significantly reduced, by organic acids and when the normal pH on human skin is maintained at a stable level. Inside skincare, it produces a preservetive effect, which causes the microbes to die by steadily supplying the microbe with Sodium ions, which the microbe tries to counter with Potassium ions. Eventually the microbe is no longer able to supply Potassium ions and the microbe dies. It’s this unique property which is magnitudes safer for use on the skin than other commonly used preservatives, with the preservative itself being fully bio-degradable, meeting OECD criteria, minimising risk to the environment and to you.